If you are interested in becoming a member and want to join our wait list, please click here. The offce is open 9am -5pm Monday-Friday, and is closed for the following holidays: Thanksgiving (Thursday/Friday), Christmas Eve/Christmas Day, New Year's Eve/New Year's Day. 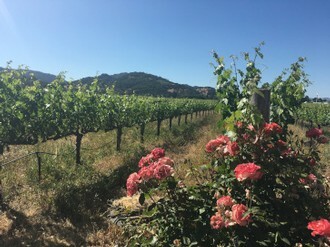 Our Tasting Room and Winery are located at 1200 Orchard Avenue Napa, California 94558. The Tasting Room is currently closed Wednesdays for our winter hours. In 2019 we will also be closed: January 1, February 3 Super Bowl, April 21 Easter, November 28/29, December 24/25, December 31. Our personalized tasting experiences are by appointment only. You can make a reservation online from the "Tasting Experience" tab or email us for more information: info@obrienestate.com. Our small-production wine is fully allocated to our members. To learn more about becoming a member of O'Brien Estate, please go to the MEMBERS tab and click JOIN WAITING LIST. Or, feel free to contact us at: info@obrienestate.com to learn more about our wines and the benefits of being a member of O'Brien Estate. If you are already a member of O'Brien Estate, and you have questions about your allocation or upcoming events, please contact us at: members@obrienestate.com.